I’ve explained how New York City had a life of it’s own in my head. In early August, I visited there for the first time. After my first NYC taxi cab ride, we hit Central Park and were there for hours, despite the jet lag. After a good night’s sleep, we started our first full day in the city with a tour of the Intrepid and the Space Shuttle Enterprise. 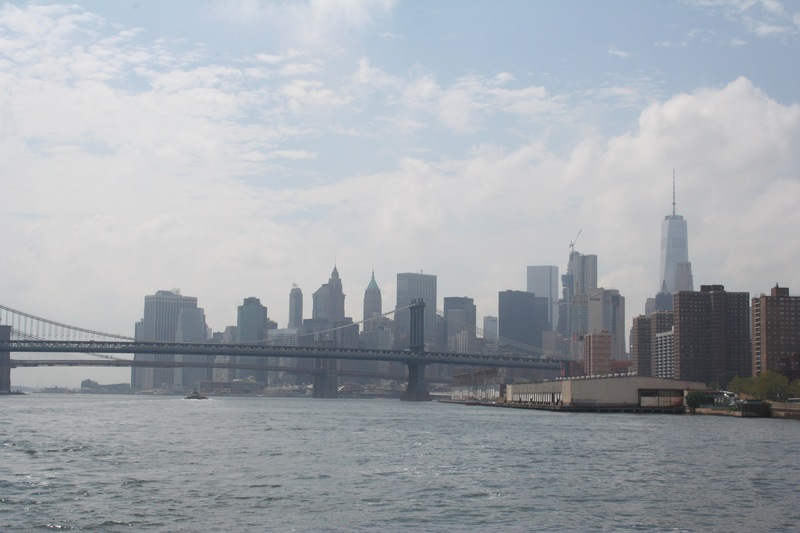 Next on the agenda was the full cruise (two and a half hours plus) around Manhattan. It’s an excellent way to get the big picture in one swell foop. 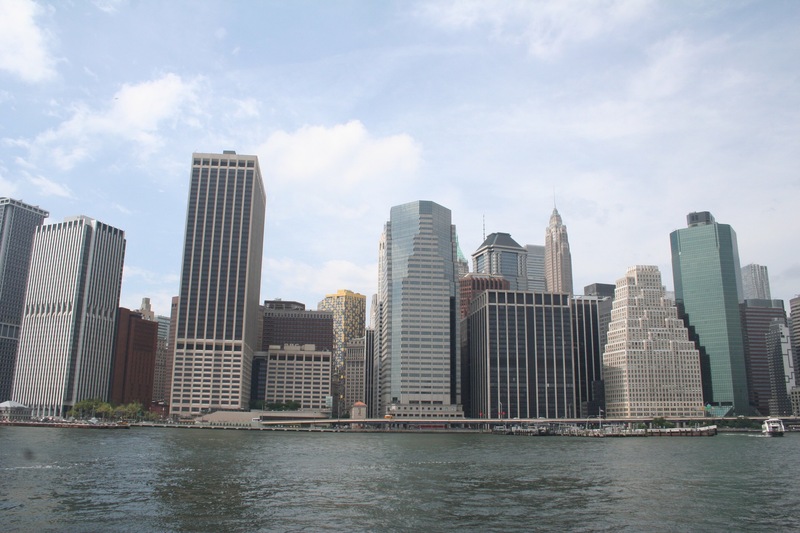 We went south down the Hudson River and out into the Upper Harbor off the tip of Manhattan. 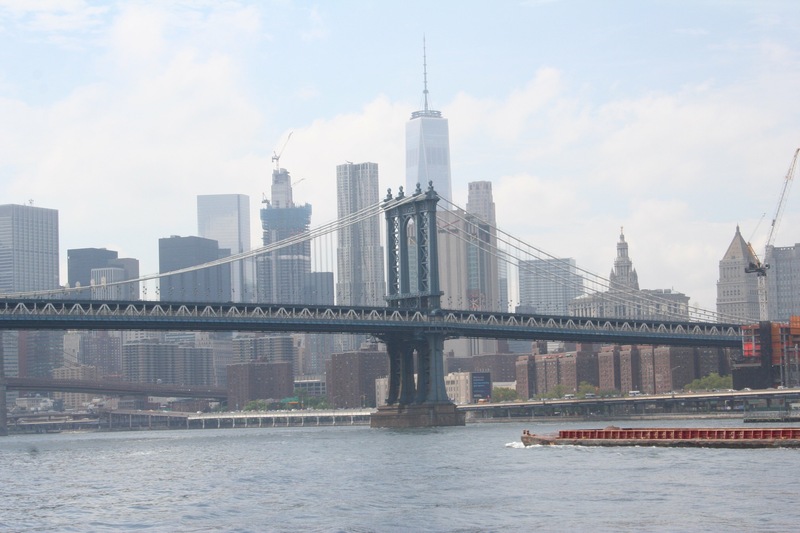 Coming out of the Upper Harbor on the east side of Manhattan, the river is dominated by the Brooklyn Bridge, crossing the East River. Except that the East River isn’t a river, technically. 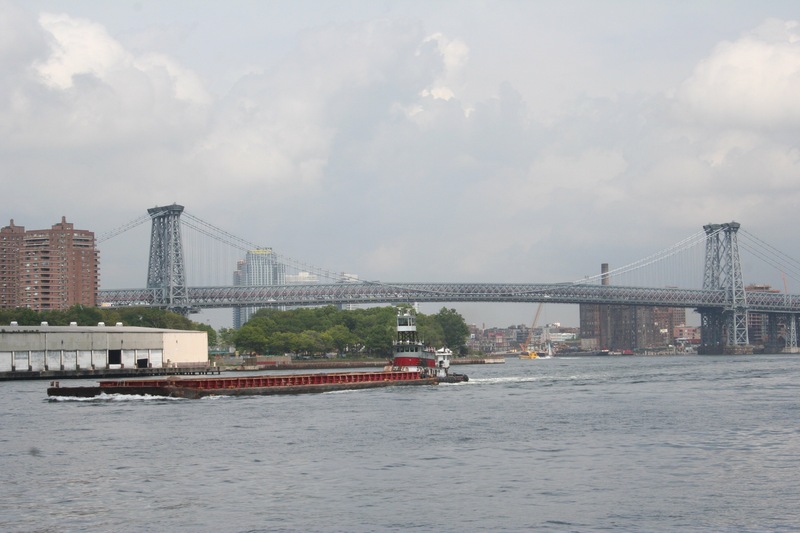 It’s a salt-water estuary, with the Harlem River flowing into it at the north end of Manhattan. I guess that “East Salt-Water Estuary” didn’t have the same ring to it. The architecture of New York City is endlessly variable and entertaining. 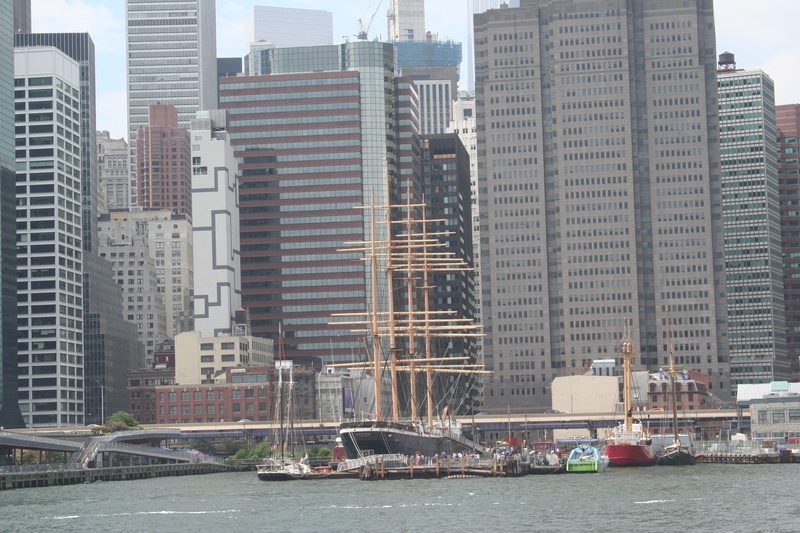 Old and new, side by side, tall buildings and tall ships. The Peking will be leaving New York City next year, so look at her while you can! I found myself loving the Brooklyn Bridge much more than I thought I would. (There were a LOT of things about New York City that fell into this category!) Much, much more from it later. 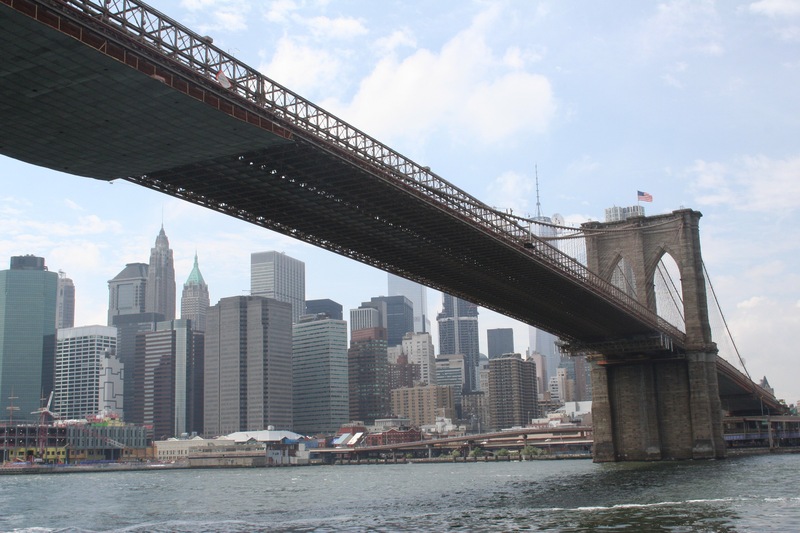 This is a pretty great view of the Bridge – there are better to be had by other means of transport. Looking ahead is the Williamsburg Bridge. 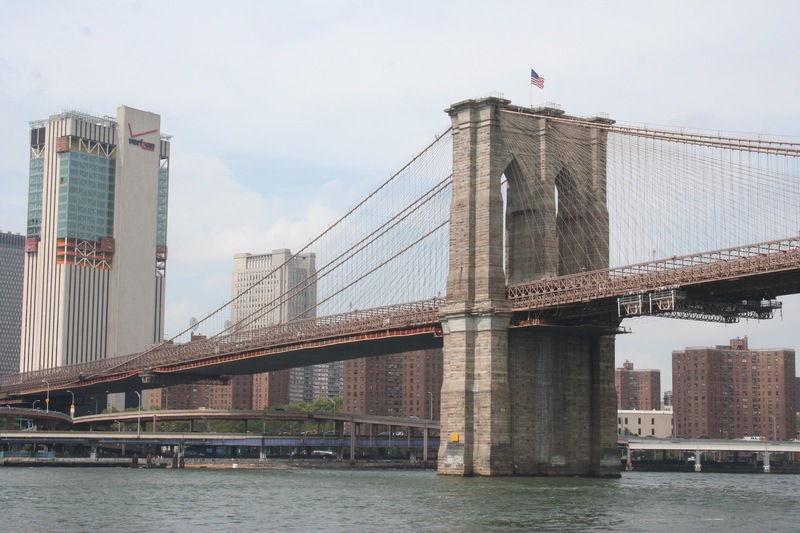 We were taught to remember them as the “B-M-W” Bridges – Brooklyn, Manhattan, and Williamsburg. 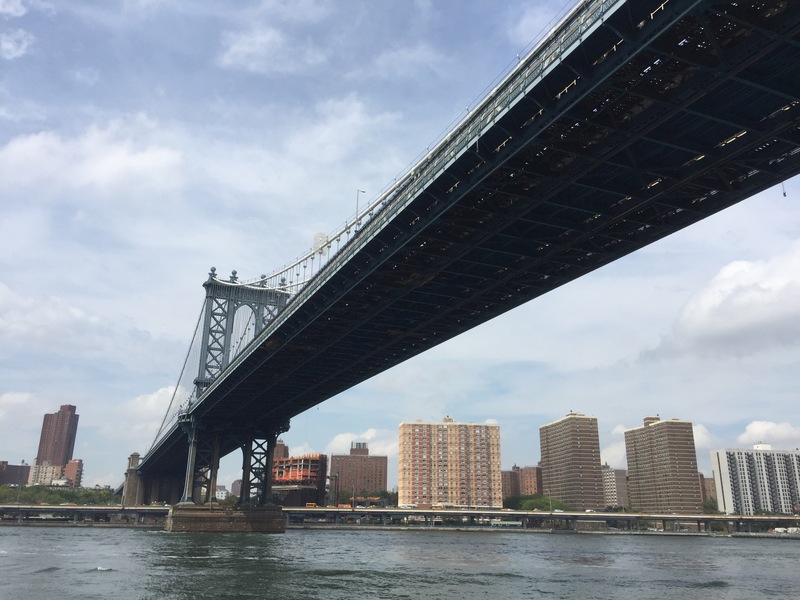 Looking back at the Manhattan Bridge, the skyscrapers of Lower Manhattan make one of the world’s most iconic skylines. 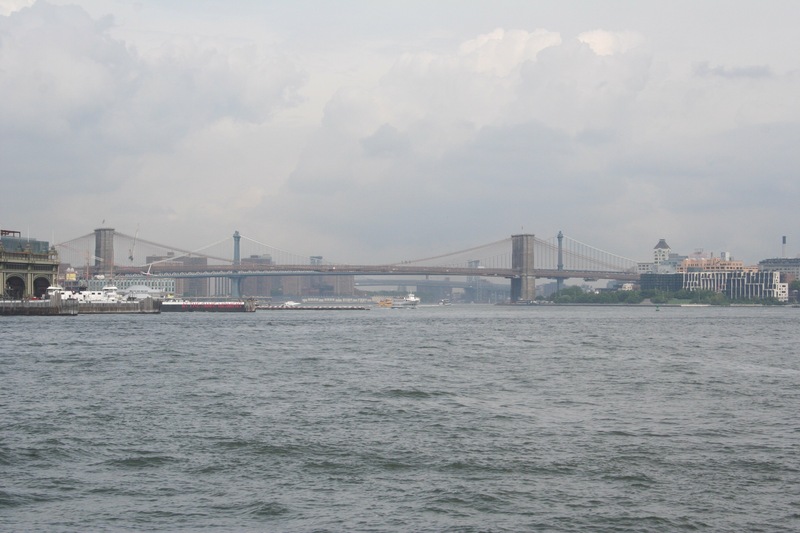 With the Manhattan and Brooklyn Bridges marking the lower end of the East River, we head north. Click on that photo to blow it up big and tell me that’s not a great place!